An overview about parallelism and the tradoffs between troughput and latency, which translates into batch vs realtime. A brief description of the reasons, followed by a selection of technologies. 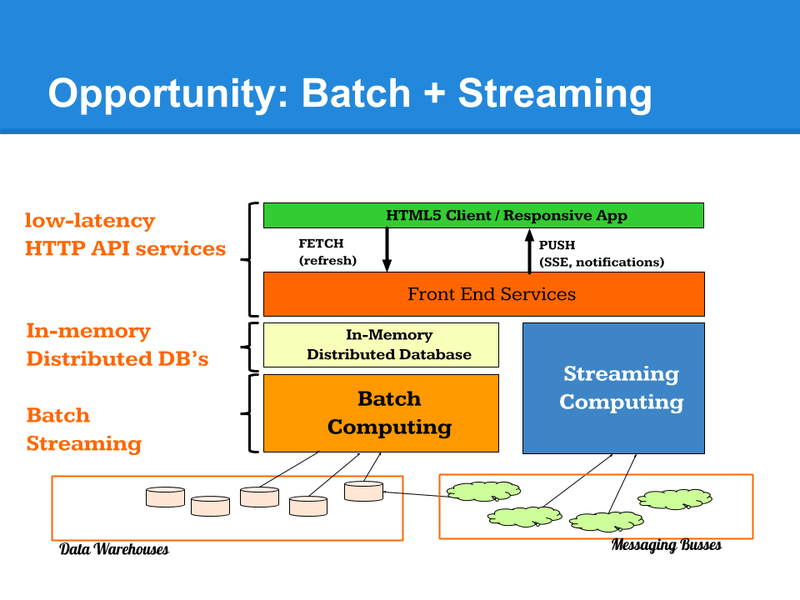 Towards an architecture which can combine the benefit of batch distributed systems capable of crunching petabytes of data on one side and distributed event-driven systems of the other side capable of processing thousands of events per second.